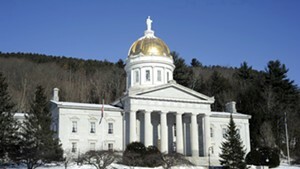 Democrats and Republicans held steady Tuesday in 150 Vermont House races across the state, according to preliminary results from the Secretary of State’s Office. The House’s current composition includes 85 Democrats, 53 Republicans, six Progressives and six independents. 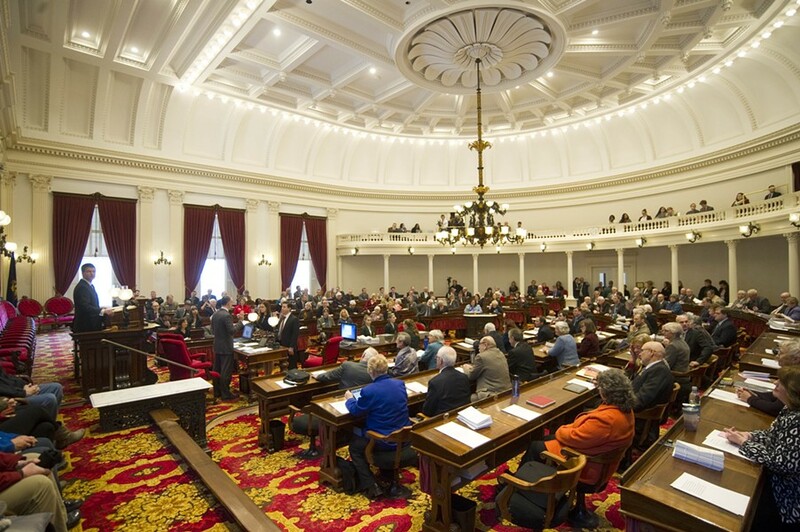 Next term, if all current results hold, the chamber will include 84 Democrats, 52 Republicans, seven Progressives and seven independents. Recounts are likely in several close races, including Windsor-Orange-1, where Rep. Sarah Buxton (D-Tunbridge) was leading Royalton Republican David Ainsworth by just three votes — 1,003 to 1,000. Six years ago, Buxton beat Ainsworth, then the incumbent, by a single vote. Among the incumbents who appeared to lose reelection races this year — again, assuming current leads hold steady — were Reps. Steve Berry (D-Manchester), Joanna Cole (D-Burlington), Paul Dame (R-Essex Junction), Joey Purvis (R-Colchester), Larry Fiske (R-Enosburgh), Avram Patt (D-Worcester), Susan Hatch Davis (P-West Topsham) and Patsy French (D-Randolph). Addison-1 — Democrats held on to both seats in this Middlebury district. Rep. Amy Sheldon (D/P-Middlebury) and Democrat Robin Scheu came out ahead of Progressive Jill Charbonneau. Addison-3 — A Democrat and a Republican will continue to represent Vergennes, Addison and Ferrisburgh. Incumbent Reps. Diane Lanpher (D-Vergennes) and Warren Van Wyck (R-Ferrisburgh) beat Democratic challenger Fritz Langrock and Republican Monique Thurston. Addison-4 — This district, which includes Bristol, Lincoln, Monkton and Starksboro, will continue to be split between incumbent Reps. Fred Baser (R-Bristol) and Dave Sharpe (D-Bristol). They prevailed over Republican Valerie Mullin and Progressive/Democrat Mari Cordes. Bennington-4 — Republicans picked up one seat in this two-member district, which is centered around Manchester and Arlington. Rep. Cynthia Browning (D-Arlington) won reelection, but Republican Brian Keefe defeated Rep. Steve Berry (D-Manchester). Caledonia-3 — Republican incumbents held on to these two St. Johnsbury seats. Reps. Scott Beck (R-St. Johnsbury) and Janssen Willhoit (R-St. Johnsbury) defeated Democrats Scott Campbell and Corey Raynor, as well as independent Philip Aldridge. Chittenden-6-1 — A Democrat and Republican will continue to split this district in Burlington’s New North End, but Democratic challenger Carol Ode will replace incumbent Rep. Joanna Cole (D-Burlington) in the delegation. Rep. Kurt Wright (R-Burlington) was reelected. Republican Mike McGarghan was defeated. Chittenden-6-4 — Progressives picked up one seat in this two-member district in Burlington’s Old North End. Progressive/Democrats Selene Colburn and Brian Cina will take over for Reps. Chris Pearson (P-Burlington) and Kesha Ram (D-Burlington), who stepped down to run for higher office. Chittenden-6-7 — Democratic Rep. Clem Bissonnette (D-Winooski) and Progressive Rep. Diana Gonzalez (P-Winooski) won reelection, turning back a challenge from Progressive Rob Millar. Chittenden-7-2 — Rep. Ann Pugh (D-South Burlington), the House Human Services Committee chair, won reelection, beating Republican Sam Handy. Chittenden-8-2 — Democrats won back a seat they lost in the 2014 election in this Essex Junction district. Rep. Paul Dame (R-Essex Junction) and fellow Republican Michael Plageman were defeated by Democratic challengers Dylan Giambatista and Lori Houghton. Chittenden-9-1 — Democrats picked up a seat in Colchester’s two-member district. Rep. Jim Condon (D-Colchester) was reelected, but Rep. Joey Purvis (R-Colchester) was defeated by Democrat Curt Taylor. Republican Patrick Liebrecht also lost. Franklin-1 — The GOP held this Georgia district, with Republican Carl Rosenquist defeating Democrat Caroline Bright. Franklin-3-1 — Incumbent Reps. Corey Parent (R-St. Albans) and Kathy Keenan (D-St. Albans) will continue to split this St. Albans district. They defeated former Democratic representative Mike McCarthy and Republican Claude Bouchard. Franklin-6 — Incumbent Democratic Rep. Dan Connor (D-Highgate) beat back a challenge from Republican Penny Dubie in a district that also includes Fairfield and Fletcher. Franklin-7 — Progressives seemed likely to take this seat back from Republicans. As of Wednesday morning, former Progressive representative Cindy Weed was leading Rep. Larry Fiske (R-Enosburgh) by just 15 votes — 935 to 920. Grand Isle-Chittenden — Democrats held on to both seats in this two-member district in the Champlain Islands. Rep. Mitzi Johnson (D-South Hero), the House Appropriations Committee chair, won reelection, and Democrat Ben Joseph came out ahead of Republicans Jason Moquin and Robert Brown. Lamoille-2 — Despite two Democratic retirements in this district, which includes Johnson, Hyde Park and Wolcott, Democrats held on to both seats. Daniel Noyes and Matthew Hill beat Republicans Riki French and Lucien Gravel. Lamoille-Washington — Democrats lost a seat formerly held by House Speaker Shap Smith (D-Morristown), who did not run for reelection. Rep. Avram Patt (D-Worcester) was defeated by Republican Gary Nolan and Democratic former representative David Yacovone. Marci Young, a Progressive, appeared to split the liberal vote, as Democrats feared she might. Orange-1 — Republicans appeared to pick up one seat in this district, which includes Williamstown, Chelsea and several other towns. Rep. Rodney Graham (R-Williamstown) won reelection, but Progressive Rep. Susan Hatch Davis (P-Washington) was trailing Republican Robert Frenier 1,829 votes to 1,846. Orange-Washington-Addison — Democrats lost one seat in this two-member, Randolph-based district. Rep. Patsy French (D-Randolph) was defeated by independent Ben Jickling and Democratic newcomer Jay Hooper. Orleans-Lamoille — Rep. Mark Higley (R-Lowell) fended off a strong challenge from Democrat Katherine Sims. Rutland-Bennington — Rep. Robin Chesnut-Tangerman (P-Middletown Springs) held on to this single-member district, which includes Pawlet, Rupert, Tinmouth and Wells. He defeated Republican challenger Jonas Rosenthal. Washington-3 — Incumbent Reps. Tommy Walz (D-Barre) and Paul Poirier (I-Barre) prevailed over Republican Karen Lauzon. Windham-Bennington — For the second time in a row, Rep. Laura Sibilia (I-Dover) beat former Democratic representative John Moran.